I’ve already posted remarkable collision photographs taken by Jim Brandt, who happens to be the husband of my wife’s cousin. Last month, he and his wife visited Grand Teton and Yellowstone national parks. Any camera hound knows that these places offer infinite photographic possibilities. Among Jim’s photographs, I selected one that for me captures the essence and majesty of the Teton range. 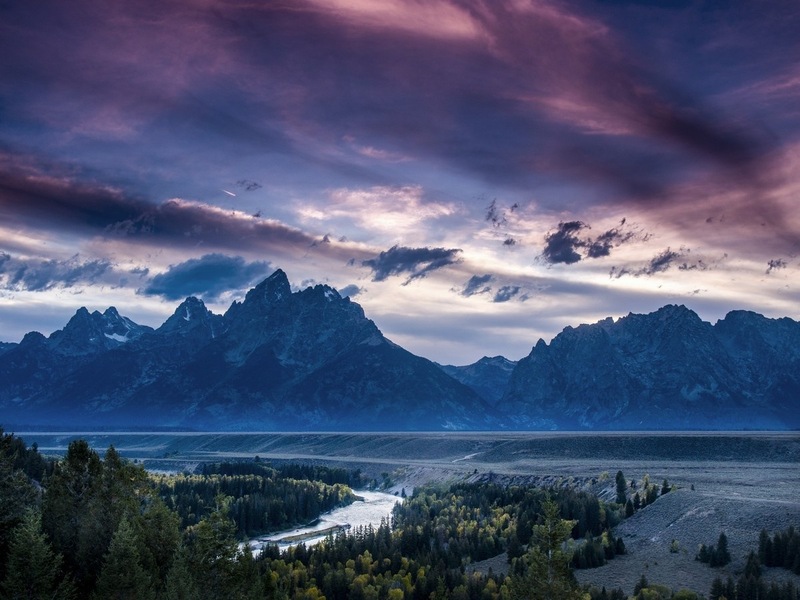 Even if the mountains have been photographed zillions of times, this particular image is remarkable because of the dramatic interplay between the rising sun and exquisite cloud formations with the meandering Snake River providing an interesting contrast to the jagged peaks. Jim remarked to me once that he loves clouds. I can certainly see his point. This entry was posted in Photography, travel and tagged Grand Teton National Park, National Parks, Nature photography, Snake River. Bookmark the permalink. Great clouds, great mountains. Pretty perfect. I’m sure Jim appreciates your comments. Thanks.